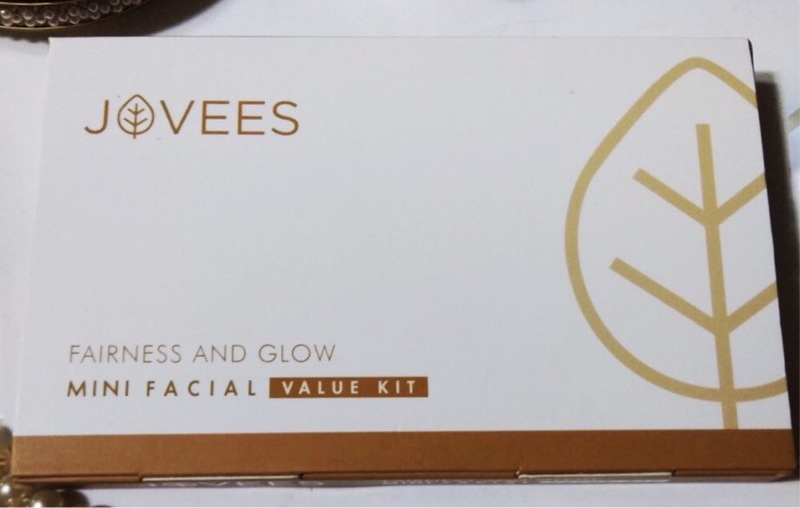 Today I’m going to review the Jovees mini facial kit which I got from a beauty shop a week back. My busy schedule wasn’t giving me enough time to do my facial and hence last night no matter how tired I was, I knew I am going to pamper myself with this exquisite facial and then only perhaps go to sleep. Mini facial kits can be easily used at home as per your convenience and you can judge how much quantity you would like to use at once. Markets are flooded with numerous brands of facial kits which provide different benefits and are made for all skin types targetting specific concerns. Well with the introduction of mini facial kits from many leading brands, my major concern has been solved because I can do my facial in the comfort of my home, I needn’t take appointments prior going to the parlor or waiting in never-ending queues for my turn to come. A true time Savior and an absolute help in getting yourself ready for an emergency function. 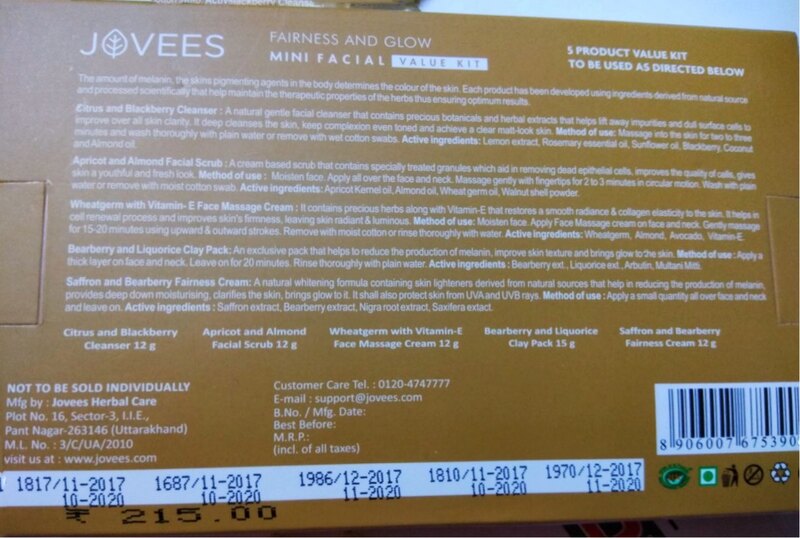 With that being said let’s see how Jovees mini facial kit has fared for me. The amount of melanin, the skins pigmenting agent in the body, determines the color of the skin. 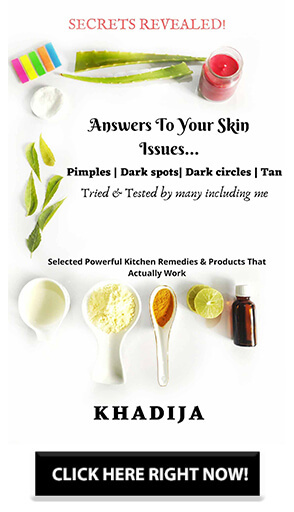 Fairness and Glow Facial Kit rejuvenates skin, removes tan, evens out skin tone, improves complexion and vanishes blemishes, acne scars & dark spots by reducing melanin production. This mini kit comes in a white and golden cardboard packaging and is covered with a flimsy plastic wrap. After opening the plastic wrap, I removed the flaps and the inner contents were separated in different slots for convenience and easy usability. Each step of the facial comes in an inverted mini tube which is numbered separately for easy application and to follow the steps properly one by one. The mini tubes are numbered 1,2,3,4 and 5. These tubes have the description of the product, directions to use followed by a list of active ingredients. The batch number, manufacture and expiry date are also printed. The tubes and the back side of the kit also have the green sign showing it doesn’t have any additives or ingredients derived from animals. Also, Jovees is not tested on animals. Another plus point. The packaging looks very neat and travel-friendly. It’s a suitable and lovely option for gifting your friends, the classic case-type packing for a facial is very innovative and to be frank and completely honest I have come across with this type of packaging for the first time for a mini facial kit. There are few mini facial kits that come in sachets and tub packaging, which is unhygienic and not very feasible to use and store once you open it. A natural gentle facial cleanser that contains precious botanicals and herbal extracts that help lift away impurities and dull surface cells to improve overall skin clarity. It deep cleanses the skin, keeps complexion even toned and help achieve a clear matte-look skin. The combination of citrus and blackberry working together as a cleanser made me excited to try it out immediately. 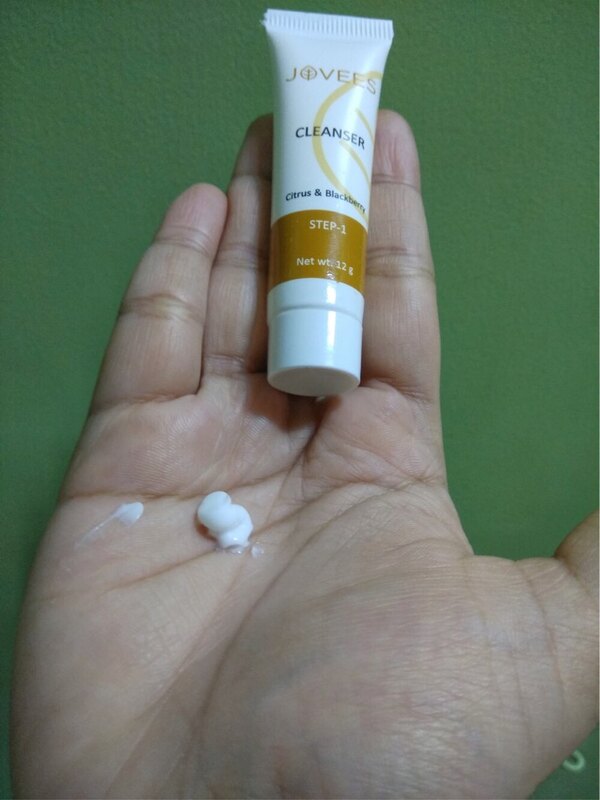 The cleanser is white in color and feels smooth and creamy on my hands and on the face. It had a lovely sweet fragrance which fades after application. The cleanser completely gets absorbed to the face when you keep massaging continuously for 2 to 3 minutes. I kept massaging the cleanser on my face up to the extent that it had formed a crumbly texture on my face. The step says to wash it off but I only needed to wipe the excess with a facial wipe. There wasn’t any trace of oil or greasiness left behind. A cream-based scrub that contains specially treated granules which aid in removing dead epithelial cells, improves the quality of cells, gives skin a youthful and fresh look. I’m so done with apricot facial scrubs, they are plain old boring. But the Jovees apricot and almond facial scrub stood a class apart. 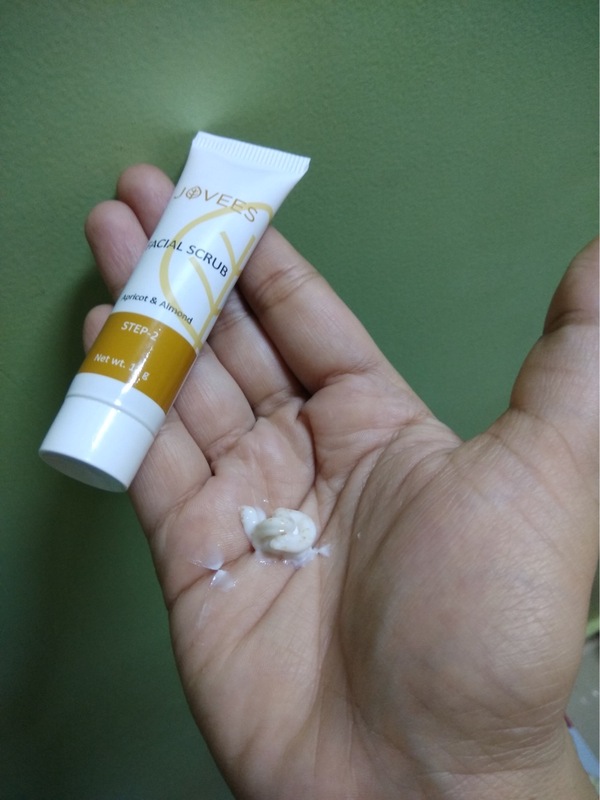 It was off-white in color, absolutely creamy in texture and gets absorbed instantly in my skin and only the granules are left on my face. The scrub is smooth in application and it had walnut shell powder as an active ingredient which helped in scrubbing the dead epithelial cells away from my face. It also helped my nose get rid of some blackheads and any extra gunk or grime settled on it. The best part was after washing my face it didn’t feel dry or stretchy, instead, it was soft and slippery. My face felt extremely hydrated and absolutely nourished. I even noticed the size of my pores had reduced tremendously. The granules in the scrub weren’t too harsh or abrasive for my skin and I’m delighted that it didn’t cause any redness or bruises on my face. The fragrance was very delightful and resembled like fresh apricots in a farm. It contains precious herbs along with Vitamin-E that restores a smooth radiance and collagen elasticity to the skin. It helps in cell renewal process and helps in improving skin’s firmness leaving skin radiant and luminous. 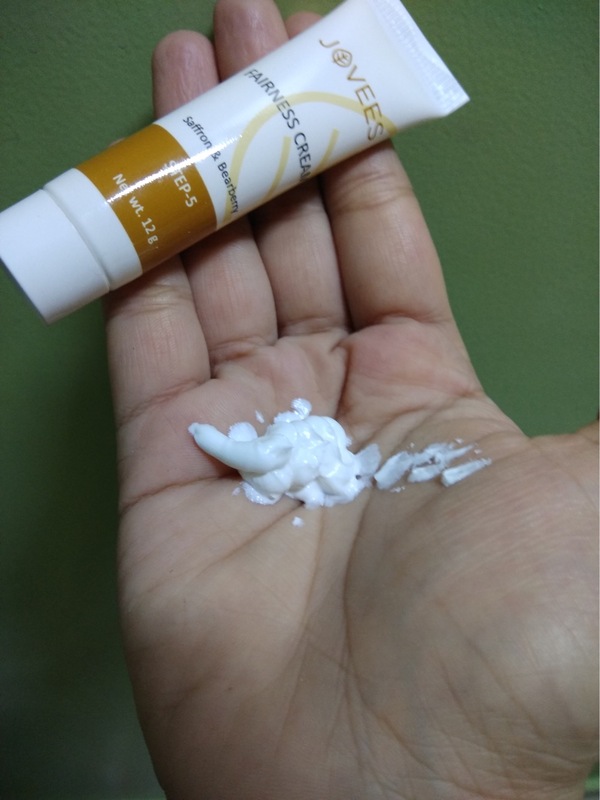 The supreme combination of Wheat germ and Vitamin E in a massage cream comes of great help to pamper and nourish your skin immensely which this massage cream actually did for my face. 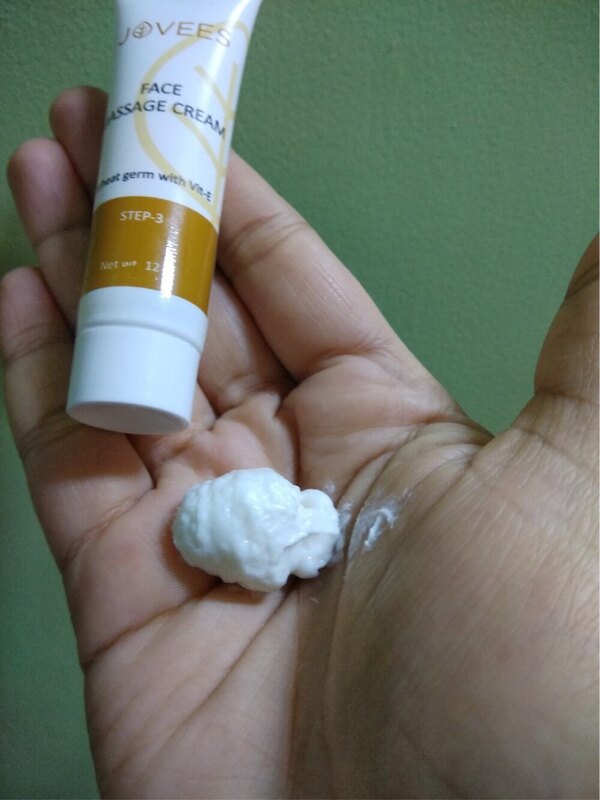 The cream has a soft and whipped texture and is white in color. I wasn’t very delighted with the fragrance though. It smells like roses from the package but after applying and softly massaging on your face it feels oily and heavy. The fragrance resembles like that of some type of mixed oil. It could be because of ingredients added to it such as wheat germ, avocado, almond and Vitamin e.
Keep massaging your face gently with soft kneading strokes for 15 to 20 minutes. It doesn’t dry off easily and can be either washed off or wiped away with wet wipes. After wiping my face with a wet wipe I could feel my skin becoming softer and getting a healthy radiant glow. An exclusive pack that helps to reduce the production of melanin, improve skin texture and brings a glow to the skin. Bearberry extract, Liquorice extract, Arbutin, Multani Mitti. The bearberry and liquorice clay pack stands true to its claims. It does give an ultimate glow to your face. This slightly muddy colored face pack smells of Multani mitti and rose essence. Application of this pack is absolutely a breeze. It’s a thick pack hence I took a bit more of the product and applied it evenly to my face and neck. Just keep it for 15 to 20 minutes and then wash off with plain water. This pack dried up quite fast and was easy to wash off as well. A lovely healthy luminous glow on the face can be seen instantly. 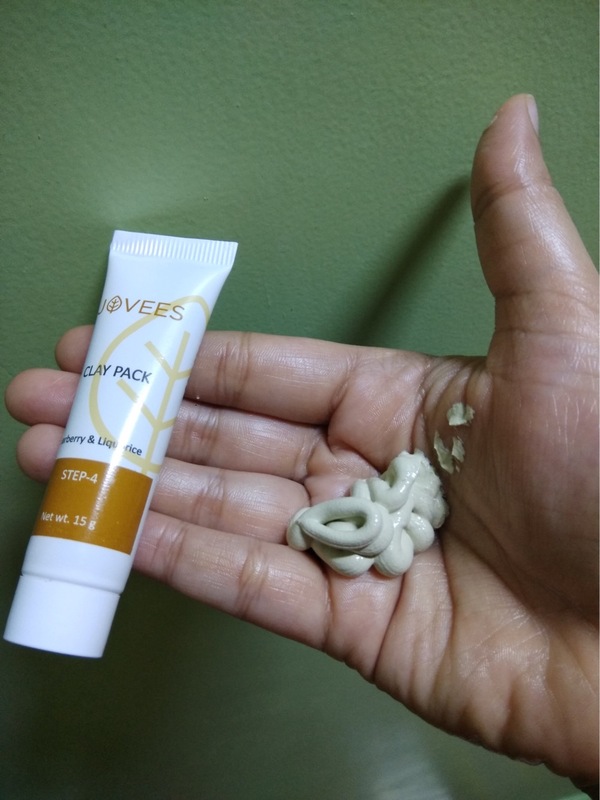 A natural whitening formula containing skin lighteners derived from natural sources that help in reducing the production of melanin provides deep down moisturizing, clarifies the skin, brings a glow to it. It shall also protect skin from UVA and UVB rays. The saffron and Bearberry fairness cream is the last and final step which concludes the facial. It took me about 45 to 50 minutes to complete the facial. After washing my face at step 4 and flaunting my healthy and lively glow I decided to spray the Jovees rose toner on my face and let it air dry on its own. This fairness cream smells extensively of a rich floral fragrance, smells exactly like saffron to me which is a key ingredient added to it. The texture of the cream is soft and smooth and the decadent smell made me go completely crazy. The fragrance lingered on my face for a good few hours and then faded. Blending this cream is a tough job, a note of precaution to everyone just take a little quantity of this cream. Because a lot of quantity gets difficult in blending on to skin and it leaves a white cast. It gets absorbed deep into the face. • You totally can’t ignore the lovely case-type packaging with separate slots to store the mini inverted tubes at ease. 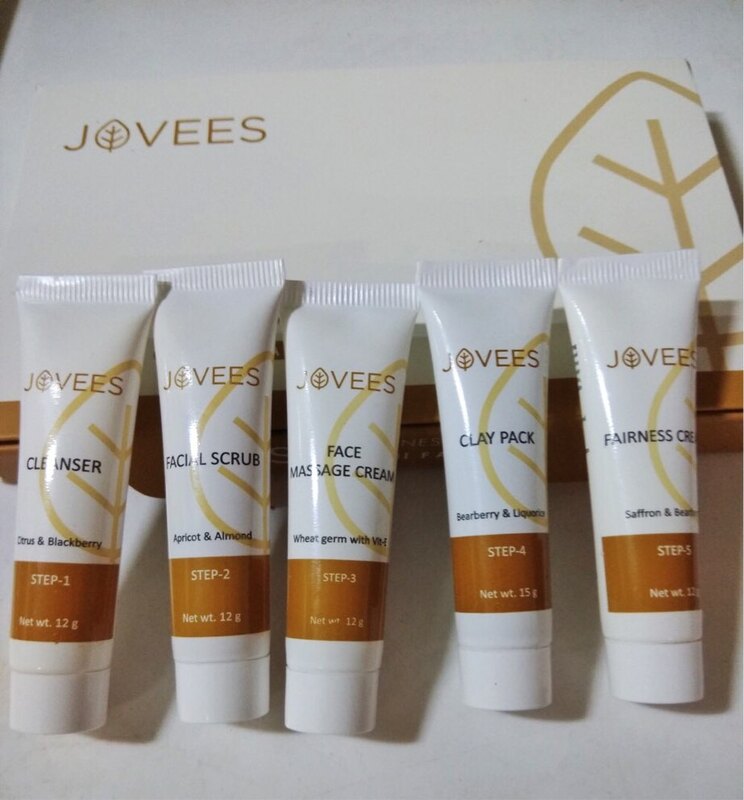 • The facial kit can be used twice because of the good quantity provided by Jovees. • After using this facial you can see the glow, brightens up the face instantly and look more fresh, young and lively. • The product description, method of usage and active ingredients are printed neatly on the back of the facial kit as well as the tubes. • The facial tubes are numbered separately. Just go step by step and follow the instructions written clearly and carefully. • Full marks on the attractive color packaging. • The list of ingredients is very impressive. They have used an amazing combination of products to design each and every step of the facial. • Every product has a unique and lovely fragrance that is completely mesmerizing. Yes it’s absolutely recommendable to everyone as well as I am going to repurchase Jovees Facial Kits from a different range. If you totally love pampering yourself and want to look good without compromising on the cost of hygiene, and save big bucks from parlor facials then this is something you will love.